I’m honored to share another beautiful project in memory of a child gone too soon. My friend Jackie Sondrol (brought together through our mutual loss) recently started making these amazing Butterfly Boxes for women who suffer a miscarriage. I’ve felt so called to do something for all forms of baby loss but with the numbers in a larger city it’s a daunting task. Jackie, however, works in a little hospital in Deer River, MN. The smaller facility makes it possible for her to reach more people on every level and I just love that she’s reached out in this way to honor her son Aiden. Jackie has also started a Facebook page, Aiden’s Wings of Awareness, to draw attention to information surrounding the loss of babies. I’d love for you to check it out. Great work Jackie! I’m so proud to call you a friend and honored that we’ve been able to work together to help families in Northern Minnesota. Read more about Jackie and her inspiration below. 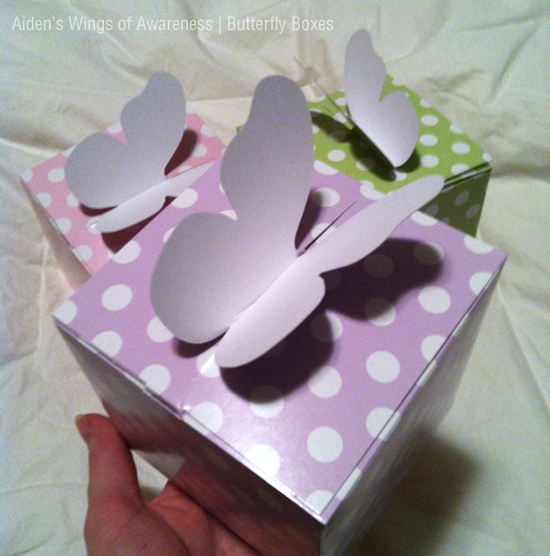 If you’d like to donate to this project please use the Baby Loss Memory Box donation link on my home page and be sure to specific “Butterfly Boxes” in the notes field. 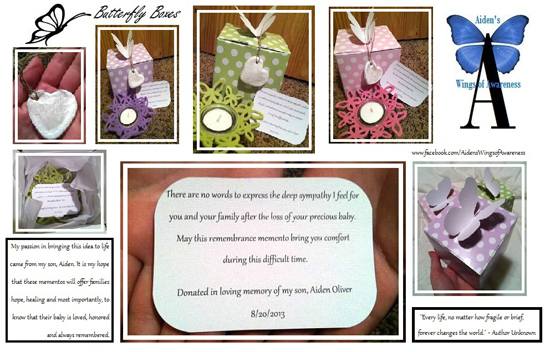 My inspiration behind these boxes came from a wonderful woman, whom I work with, that expressed to me the desire to provide mothers who have had to endure the pain of losing their baby to miscarriage with a remembrance memento. 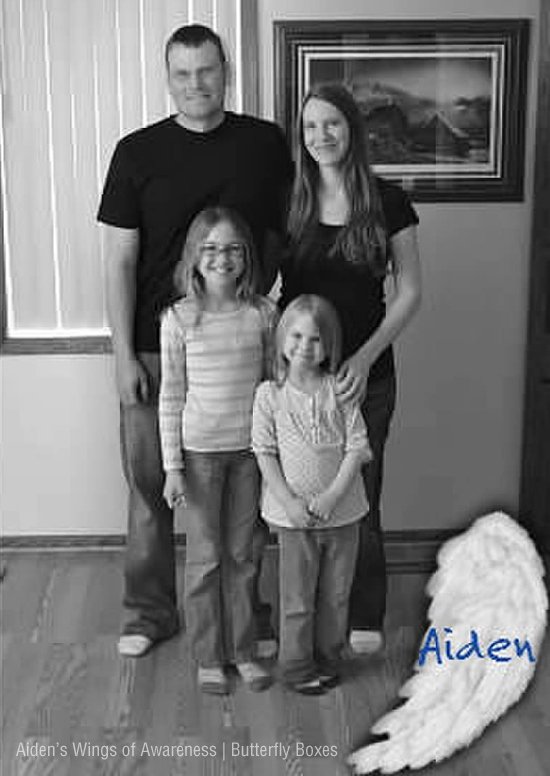 My passion in bringing this idea to life came from my own son, Aiden, who was stillborn on August 20, 2013. Not a day goes by that we don’t miss our sweet baby boy. I am proud to be Aiden’s Mommy and grateful by how his life has touched so many already. It is my hope that these mementos will offer families hope, healing and most importantly, to know that their baby is loved, honored and always remembered. Oh Janelle! I absolutely love it! I’m so glad we are able to work together for a greater cause!